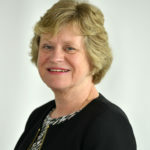 Barbara joined the firm as a tax specialist in 1990. She began her career with the Inland Revenue, before 'crossing the fence' to work for a London firm and then a 'Big 4' firm in Cambridge. She is an associate of the Chartered Institute of Taxation and a member of the Association of Taxation Technicians. As such, she deals solely with personal tax related compliance and planning issues. Based in our Ely office, Barbara is the partner that heads up our private client tax and payroll bureau departments. Her expertise is in demand throughout the firm and she makes regular trips to all offices. Outside of work, Barbara enjoys playing tennis and is a keen supporter of Leicester Tigers rugby club. 27th October 2017 Tax Relief on pension contributions – Budget Day looms….